We believe every contribution matters and every contributor matters. 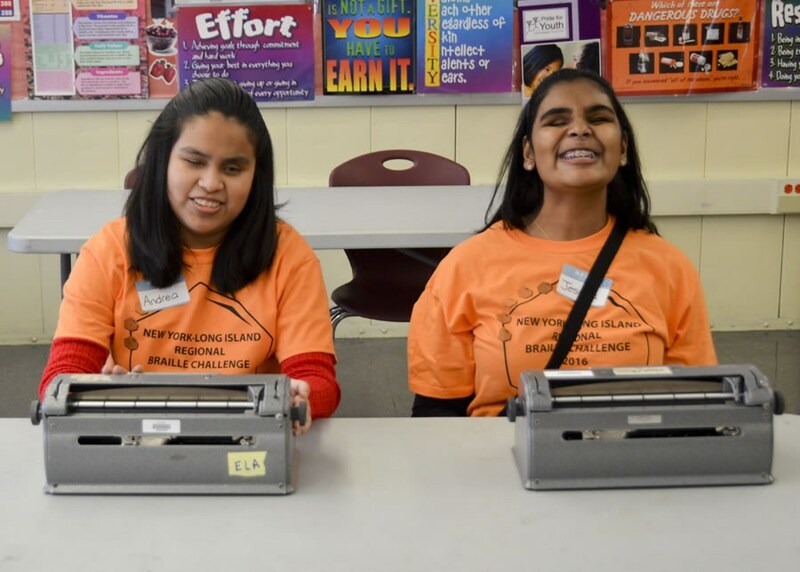 Our Literacy and Library Fund is used to support the purchase of large print and braille books, magazines, audio books, and literacy materials for our Edward R. Finch Library. Used by approximately 80% of our students throughout the academic year, our library provides a nurturing environment rich with the knowledge, history, and hope that literature offers to readers of all ages and abilities. Every book added to our library brings with it the potential to impact the lives of our students for years to come! Click here to help buy books for our library by making a secure online donation to our Library and Literacy Fund today. Gifts made with cash, check or credit card immediately benefit NYISE and are often the easiest method of giving. NYISE's EIN number is 13-1740010. Contributions to NYISE are tax-deductible to the fullest extent allowed by law. 100% Support: All online donations are securely processed by Donor Perfect, with a 3% transaction fee to cover credit card fees, bank fees, and other processing costs. Please consider chipping in an additional 3% so 100% of your donation amount goes to NYISE.